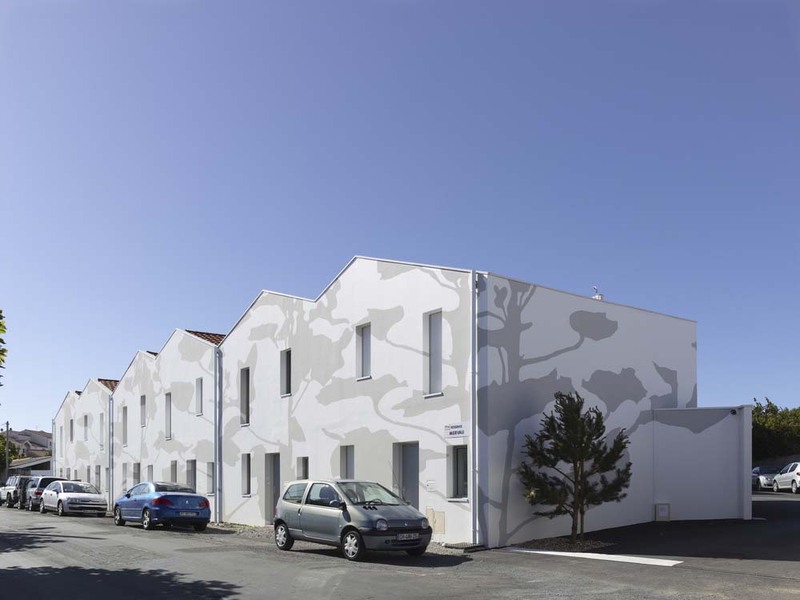 In Saint-Gilles Croix de Vie, a well known Atlantic port, Tetrarc is undertaking a social housing project with Vendée overtones, Mervau. After having reviewed the housing site (Arborea), its classification (Playtime) and its services (Boreal), and its construction using the wood option (Rosa Park), Tetrarc is giving its views here on the gradual renovation at the heart of small and medium sized towns. How Does Your Region Rank? The United States is a big place, with different regions having dramatically different costs of living. The most visible reason for these differences is home prices, but it doesn’t tell the whole story. You might be surprised to find that some of the most expensive parts of the country are that way mainly because of high transportation costs, as determined by the Center for Housing Policy and the Center for Neighborhood Technology. When it comes to moderate income households, the most expensive place to live isn’t New York City; it’s Miami, Florida. Most middle class families in Miami spend over 65% of their income on transportation and housing costs combined. Even though NYC has higher home prices, transportation in the big apple is so cheap that it doesn’t even make it to the list of the top ten most expensive cities for the middle class. With housing costs at 40% of income and transportation at 32%, Miami is definitely one of the most expensive places in the country anyone can live, even if its energy costs are around the average for the United States. Next up is Riverside, California, with housing costs at 36%, transportation costs at 33%, and energy costs at almost the top of the charts. Surprisingly, Riverside’s housing costs actually rival that of New York City in terms of a percentage of middle class income. Although NYC has higher real estate prices in terms of dollars, the average middle class income in that city is so high that it more than makes up for this difference. Coming in third place is Tampa, Florida. Their housing costs come in at 31% of income, which is high, but not overly so. However, their transportation costs are a full 35% of income, which puts them well above most expensive cities. Although electricity costs are average in Florida, Tampa nevertheless remains as the third most expensive city in America for moderate income households. New York City has already been mentioned several times here, and for good reason: its real estate prices are the highest in the nation. Yet cities like NYC, San Francisco, and Boston have transportation costs that are so cheap that it more than makes up for their expensive real estate. These three cities are among the most affordable cities in the United States for moderate income households, even though NYC’s housing costs as a percentage of income is a full 34%. Even after adjusting for income, this extreme housing expenditure would put NYC in the top five most expensive cities, but housing is not the entire picture. Not only do NYC residents make more money, but they have nearly the cheapest transportation costs of any city in the country. Behind all of these numbers lie energy costs. Electricity prices differ widely by region, with Hawaii consistently over $.24/kWh and high prices stagnant throughout New England and California. Energy is cheapest mostly in the north, in states like Washington, Idaho, and North Dakota. The South generally has middling rates, though some companies like www.TexasElectricityProviders.com do a very good job of bucking the trend and providing low cost electricity in the South. The bottom line here is that real estate prices alone do not tell the whole story when it comes to expense. When comparing where you live to other parts of the country, be sure to take into account transportation and energy costs as well. BIG is commissioned by Novawest to design a 420 ft tall mixed-use observation tower to serve as a symbol for the city of Phoenix, Arizona. 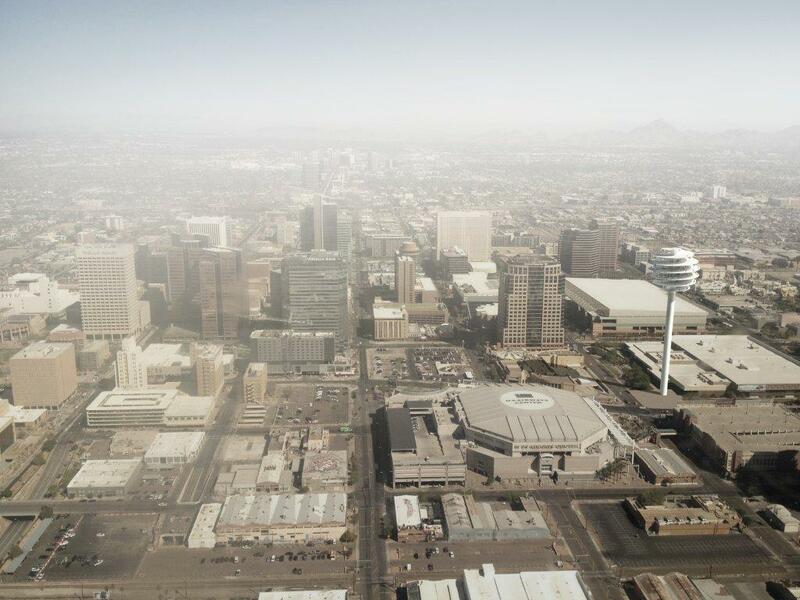 Located in downtown Phoenix, the 70,000 sf Observation Tower shall add a significant structure to the Phoenix skyline from which to enjoy the city’s spectacular views of the surrounding mountain ranges and dramatic sunsets. Phoenix-based developer Novawest, commissioned the team to create a destination event to provide tourists and citizens of Phoenix alike the chance to enjoy the unique features of the Valley of the Sun. “This is the right place and the right time for a signature project for downtown Phoenix and we knew the design needed to be something extraordinary. BIG has delivered something exceptional, blending form and function in a way that will change the local skyline forever and will give visitors a once-in-a-lifetime experience.” Brian Stowell, Novawest. he New York Public Library today unveiled proposals for the integration of the Circulating Library into its flagship Stephen A. Schwarzman Building on 42nd Street – Lord Foster presented the plans at the launch of the public exhibition. 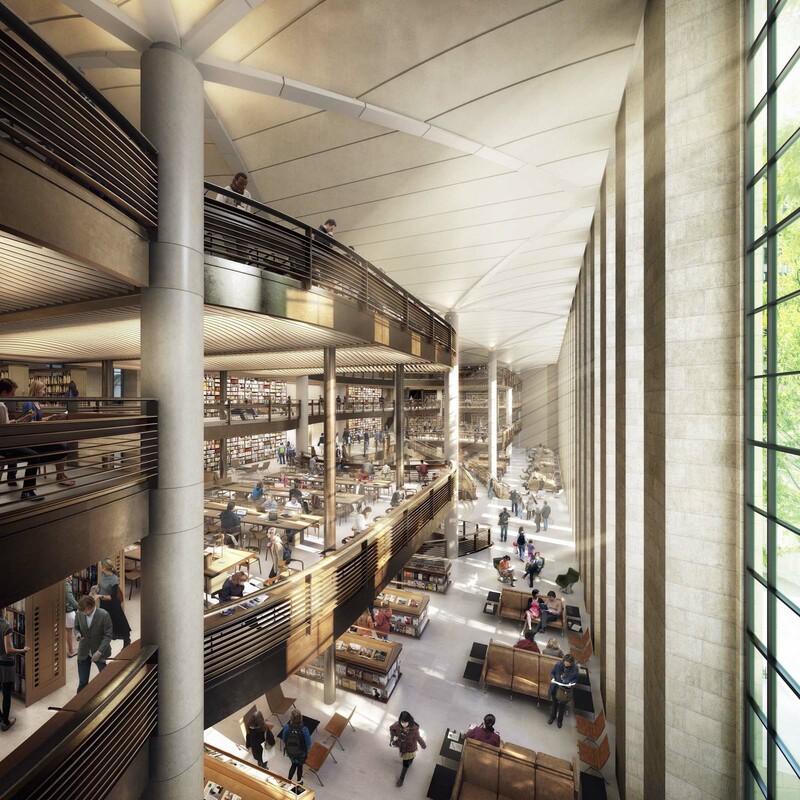 The project aims to safeguard the building’s legacy and precious books for future generations. The existing research library will be retained as it is today, with more space for researchers, as will many of the public spaces – the project will open twice as much of the building to the public and will restore the logic of the Neo-Classical design to improve the experience of the library’s historic halls. The two circulating collections will be housed in a spectacular new space previously occupied by book stacks. When you only have a small and/or awkward space to fit your kitchen into, you’re more likely to need a bespoke design – every corner must be utilised, and all natural light must be taken advantage of. You may even need to knock down a wall or move a door, if you want a room that you’re genuinely happy to stay in for more than it takes to cook a stir-fry; this will need a builder who knows what s/he is doing. Urban kitchen designers, like London-based Increation, typically recommend prioritising excellent craftsmanship – you need to find someone who can fit cabinets and shelves into difficult corners whilst maintaining a high quality finish. Keep the layout simple, and achieve visual interest with natural textures and intelligent colour instead of fancy footwork. Although floor-to-ceiling cupboards seem like a good storage solution when there isn’t much space, they bring the interior surface into the room by a good 20cm, which is fine lower down but makes a narrow room look even more narrow when they’re above head height. This doesn’t mean you shouldn’t use them at all – just use them carefully, and probably not all along the wall. Break a run of high cupboards with low surfaces – this will be necessary for the hob and sink, anyway – or with a section of shelving. Open shelves above the eye level, or at least head-height, are a good way to keep the space looking wide without sacrificing storage space. If you must have cupboards, try using glass doors with lights inside; this will add depth and brightness without leaving all your belongings out in the open. An international design team made up of MVRDV (overall design), The Jerde Partnership (commercial podium) and ARUP, together with developer Wijaya Karya – Benhil Property, have collaborated to create Peruri 88 – a new landmark icon for Jakarta. Peruri 88 will be a vertical city in one building combining Jakarta´s need for more green spaces with the need for densification. The tower is a 400 meter tall mix use project with retail, offices, housing, a luxury hotel, four levels of parking, a wedding house, a mosque, imax theatres and an outdoor amphitheatre. The team presented the plans to city and site owner Peruri as part of a developer’s bid competition for the prominent site at Jl. Palatehan 4 Jakarta. Your bachelor pad says a lot about your personality. Apart from having great shoes, clothes and appearance, you should also place emphasis on your home. Here are some tips and essentials for creating a great bachelor pad. Depending on the time of the day, or mood of visiting company, the light levels need to vary. For convenience, you should install lightning that can be pulled up or down. Without having to break the bank, you can get some dimmers at affordable prices. You should consider getting a few pieces of artwork. You can go for an accent, poster, antique or a frame containing a historic design. Artwork should personalize your space, and give life to the ambience. Guests would enjoy looking at these pieces. The walls of your shower should be clean. A small basket should be placed where trash such as toilet rolls can be disposed. The bath rug should be washed properly, because if moisture builds up, the color would wear off. The bathroom can be equipped with shaving supplies, good quality hand wash, and a modern mirror. You should consider getting a Home Theater system as friends are going to watch sports, or music has to be played on a party. It doesn’t have to be too expensive. You can create a track of latest hits, and also consider adding a video game console such as the newly released Wii U for some physical fun. You can go for Vodka and Whiskey on the rack. These two can be mixed with soda water and other beverages easily. Red wine can also be considered. Root beer is also an option, and it’s ideal to have cranberry juice. With the wine and beer placed on the rack, your fridge is going to have ample space. You can have food from different food groups. This will make you a great host, as you would have different food options available for the visitors. Having a pool can make your bachelor pad stand out from the rest. It’s a great way to entertain the guest as well. A simple green pool table with a classic wood frame would be an ideal choice. There are pools with metallic frames available as well, but nothing beats the good old wood. By considering these essentials, you can spice up your bachelor pad and be proud of it. Update from the construction-site: Spring 2013 marks the opening of “Court of Justice” in Hasselt, designed by teams of architects at J. MAYER H. Architects, a2o-architecten and Lensºass architecten. Having finished all façade works in 2011, the interior is now under construction and due to be completed in early 2013. 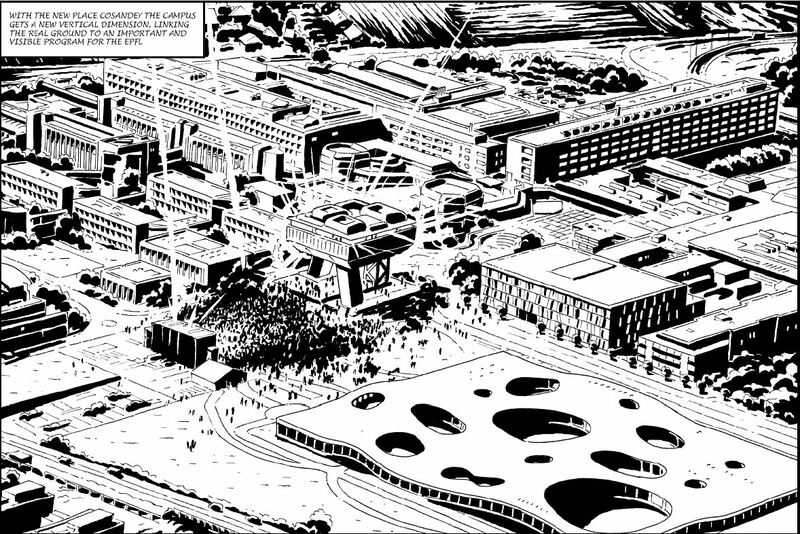 A look at the site gives an impressive picture of the final dimension and appearance of the high-rise complex.